It seems like an extraordinarily long time since I wrote my original post about Sanderson prints and the exhibition at the Fashion and Textiles Museum. 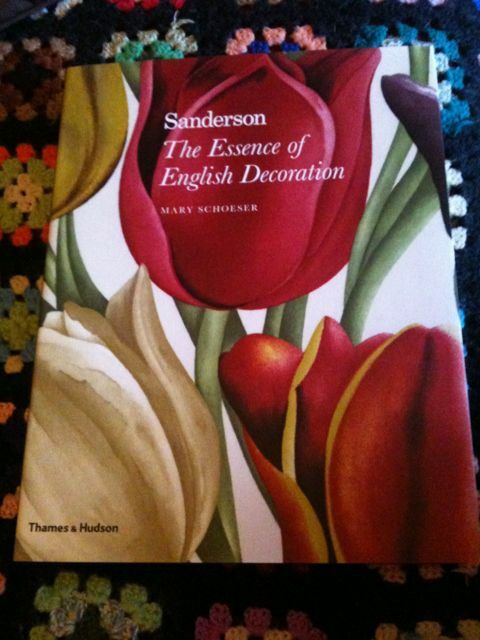 Since writing it – in fact almost straight after writing it – the kindly folks at Thames & Hudson sent me a copy of the exhibition’s corresponding book, The Essence of English Decoration. It’s a real treat of a coffee table style, full of amazing images that can’t fail to get you excited if you’re a textile geek. It’s also done nothing to discourage my crazy nesting habit, which has recently extended to bidding on Alfred Meakin plates on eBay. Speaking of which, if anyone has any Circus designs knocking around, I’ll buy them off you. 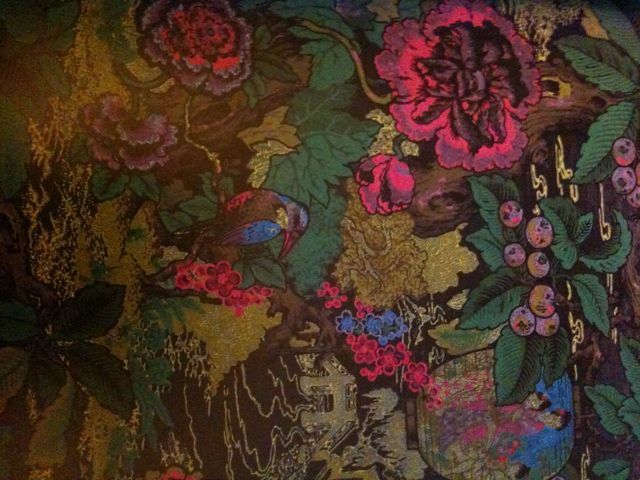 Savaric, a block-printed wallpaper designed c. 1896. As with most of Sanderson’s designs, it’s amazing how modern and right for now this print feels. This was originally used in a bedroom in Victor Horta’s house in Brussels. It’s still available in the Sanderson hand-print range, supplied to order. Block-printed Percy Heffer design, c. 1912. The colours on this IRL are amazing. So dark with incredible punches of bright, almost neon pink. I love it but can’t even imagine how intense it would be on the wall of… well, any room. Having just read Dope Girls and London society’s obsession with opium dens at the time, can’t help but imagine it lining some sordidly amazing bedroom. 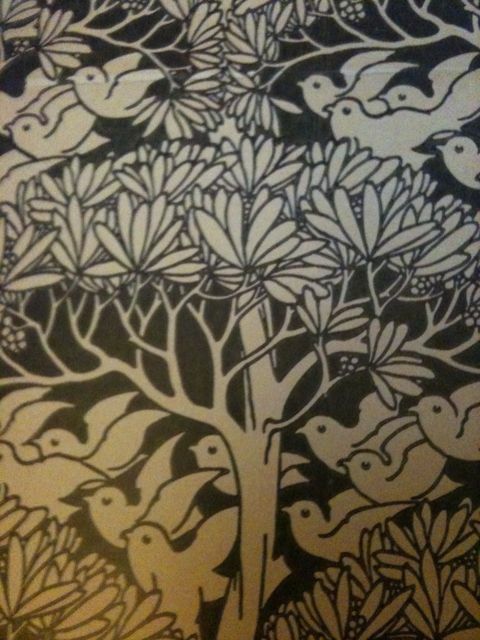 When you decorate a dull room with a Sanderson Wallpaper you transform it. It is like pulling up the blinds on a sunny morning. 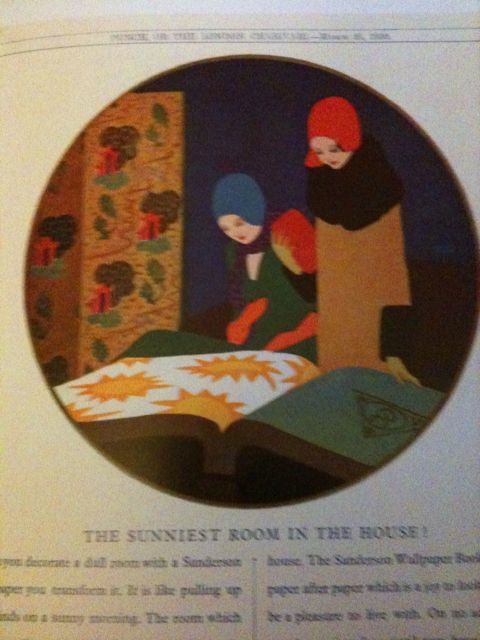 The room which had the sulks now smiles, the room which was so dowdy and dreary is now the sunniest room in the house. The Sanderson Wallpaper Book shows you paper after paper which is a joy to look at, and will be a pleasure to live with. On no account have any decorating done until you have asked your decorator to show you this most inspiring book. Inspiring words for an inspiring book, but all I care about is getting sunshine print paper like on the right page of the book. 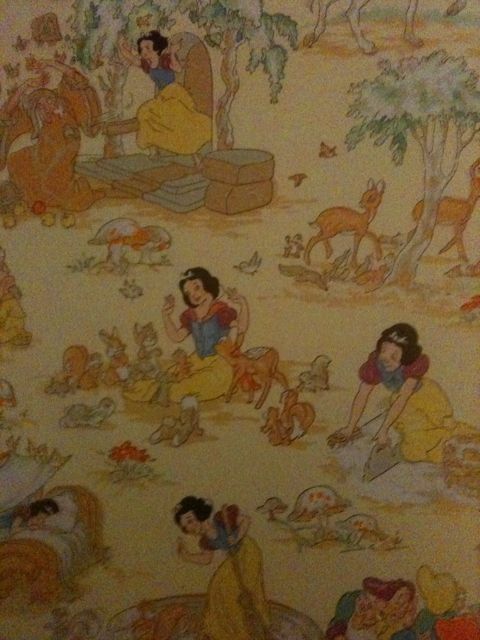 This Snow White print from 1938 reminds me, of course, of my beloved dress. Such lovely colours, not like the primary hued Disney of today. Sanderson is famous for its chintz and Chapter 9 is (fabulously) called ‘Whole Hoggers on Chintz’. All the ad campaigns in this section are brilliant – ‘To save pennies, some manufacturers prune their roses’ on a particularly floral number. 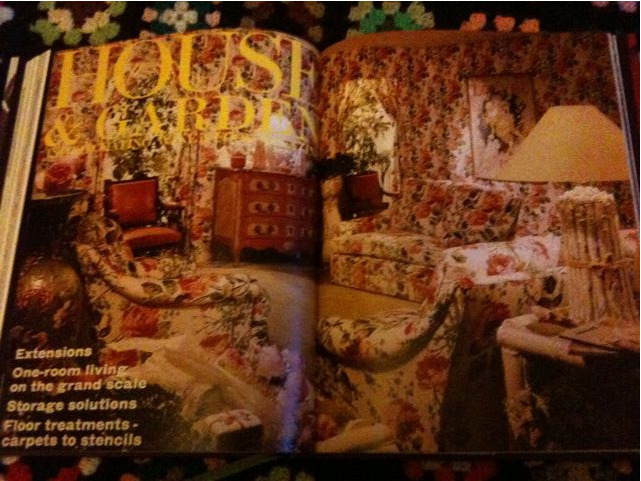 Here we see the cover of House & Garden from 1980 with an entire room decorated in ‘Only a Rose’. The design was eventually proved to bold and was withdrawn. Boo!